When you get married, you’re not expecting that one day you will be in court talking about a divorce settlement, but nearly half of all marriages end in divorce. In some cases, the court orders that the supporting spouse carry a life insurance policy to provide for the children or guarantee alimony. Here’s what to do if you have been ordered to purchase a life insurance policy. Marriage and divorce are both common experiences. In Western cultures, roughly 90 percent of people get married before they turn 50 years old. According to the American Psychological Association, healthy marriages are good for physical and mental well being. They are also good for children. Growing up in a happy home protects children from a variety of developmental problems. However, about 40 to 50 percent of married couples in the United States get a divorce and the divorce rate for second or third marriages is even higher. Instant Issue: Get A Quote Today. Be Covered Tomorrow. Even a peaceful divorce can be economically devastating when factoring in the costs. You need to maintain separate living quarters, there could be a loss of income, there are likely going to be credit and debt issues, and counseling might be necessary if there are children involved and that’s the upside. An angry divorce could include all of the aforementioned plus leave you with a stack of costly legal bills. 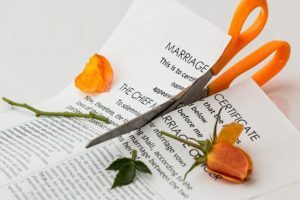 The end result: divorce reduces a man’s standard of living by about 10 percent and a woman’s by about 30 percent, according to the National Marriage Project at Rutgers University. Most married couples carry a life insurance policy to provide for their spouse and children should they die, but that need doesn’t simply disappear once the marriage has ended. Typically, the primary breadwinner in the family will purchase life insurance and list their spouse and their children (if they have any) as beneficiaries on the policy. The spouse who is financially dependent on the other will then receive the death benefit on that policy when their spouse dies. The insured, on the other hand, has the peace of mind in knowing their family will be taken care of financially when they are gone. The need for life insurance changes somewhat when you are getting a divorce. In most cases, part of the divorce settlement process lies is granting alimony and child support to the spouse who depends on the other one financially. Alimony payments are designed to help the dependent spouse maintain the lifestyle they have been accustomed to, while child support is set up to help cover child care costs and any other expenses that are associated with being a full-time parent. If the primary wage earner who was paying the alimony or child support were to die, the dependent spouse could end up with a devastating financial burden if their ex-partner didn’t have any life insurance. It’s understandable why someone would not want to carry a life insurance policy if they were involved in a bitter divorce. They feel like their ex-spouse will be benefiting from their death and if someone is already upset about paying alimony, their mood isn’t going to improve if they are ordered to purchase and maintain a life insurance policy with their ex as the beneficiary. stipulation that the supporting spouse should, in fact, carry a life insurance policy with their ex as the beneficiary. This can assure the children will be taken care of should the supporting parent die and it’s particularly important if you suffer from a past or present medical condition. Therefore the court orders you to carry life insurance for a specific period of time to make sure this commitment is met. How long the policy is maintained depends on what it was intended for. 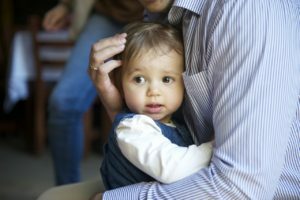 If it was supposed to be a safeguard for child support, it can be terminated when the dependent children reach the age of majority. Depending upon your state law, this usually happens at some point between the ages of 18 and 21. (Life insurance policies can be maintained for longer periods of time if the parent chooses to do so.) If life insurance is necessary to assure alimony, it could continue for as long as the alimony payments are required and there is no clear-cut answer for how long that support lasts. Each state has different rules regarding alimony and every family situation is different. The amount of insurance required would be related to the extent of the obligation, but the court is also required to consider the financial impact of paying insurance premiums. Talk to a licensed True Blue life insurance agent about your policy needs. If the court has ordered you to purchase a life insurance policy, a True Blue agent is going to work with you to get the best policy for your particular situation at the best rate, no matter the time frame. Just let the agent know the desired policy is court ordered and the date it is expected to be active. Then trust that you are in good hands. Based on your individual needs, True Blue compares the policies and rates of hundreds of different insurance companies to find your best solution. With True Blue, you have a friend to walk you through the process of getting your court-ordered life insurance policy. Call on us today, 1-866-816-2100. Let True Blue help find the best life insurance for your legal needs! Are you needing life insurance for a legal matter and need it quick? Have one of our agents help you find the best life insurance policy with the lowest turnaround time. Can You Give Some Specifics Surrounding Your Case?